Hello lovely people! 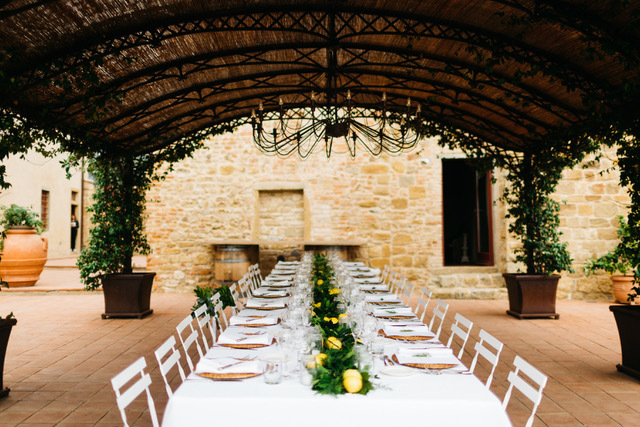 We are so excited to announce our very first Real LUXE Wedding feature with all of you! 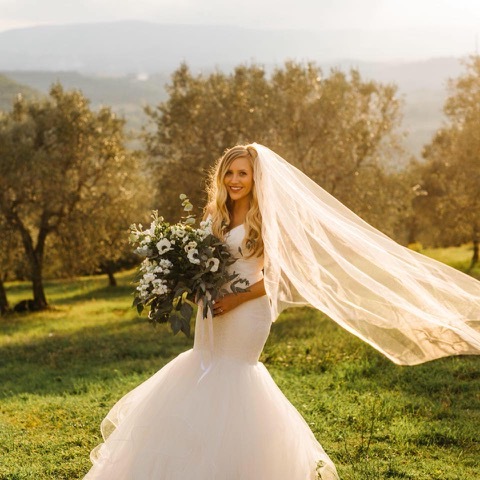 The beautiful couple, Brooke & Mike, got married on October 3, 2017, in the ever so dreamy city of Tuscany, Italy (#Goals) and it was beyond magical! 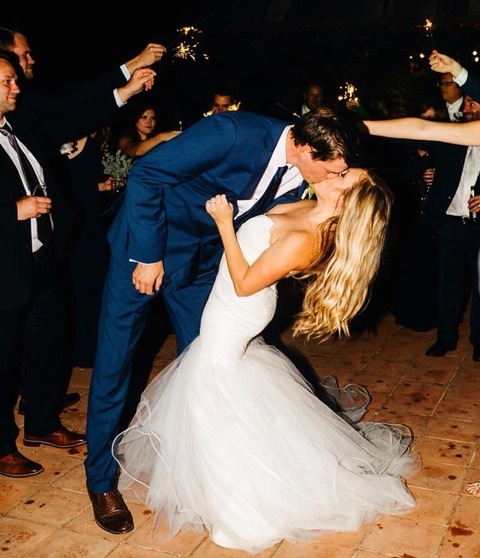 Have fun reminiscing with Brooke about some of her favorite memories, as well as a sneak peek into their special day! Tell us a little about you & your hubby's love story! "Our story began in middle school when we were best friends. As we grew up and went through high school together, our friendship grew even stronger and we began to realize that we were not only best friends, but we were soul mates! We finally decided to make it official during our senior year of high school. Looking back, I think our family and friends knew we would marry each other before we even knew we were in love! From holding hands in the hallways at Fisher Catholic High School to growing old together, we feel so lucky to have a love that is deeply rooted in friendship (insert heart eyes emoji). I get to marry my high school sweetheart & best friend!" How were you feeling on your big day? Any nerves? "I was not as nervous as I thought I would be, truthfully I was just anxious! My bridal party made my day so unbelievably easy breezy. They celebrated with me the night before and gave me a book with letters and pictures. It was such a relief having the support I did because it made it much easier to enjoy the day!" 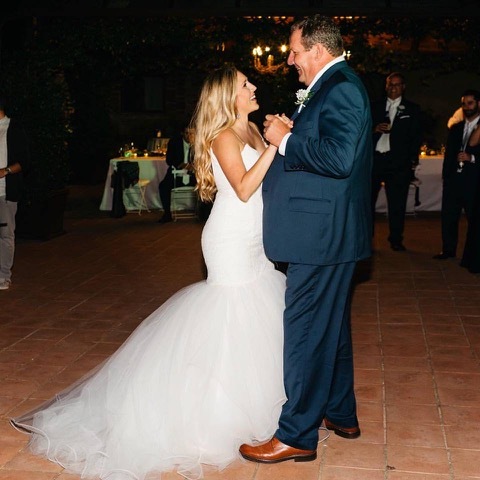 "My three favorite memories from our wedding were the speeches, the first dance with my father, and then seeing my husband's face when I came down the aisle! My dad and I have a very close relationship, which he chose the song & told the deejay to make it a surprise for me! I didn’t even know until the music started that the song was "Grown Men Don’t Cry" by Tim McGraw. Next, my husband was pouring tears and usually is very drawn back with his feelings… but before I even walked down the aisle he was crying and shaking and there was not a dry eye during the ceremony (what a sweet hubby you have)! Finally, all of our speeches were beyond amazing, they still give me chills! I cannot believe each & every single person spent the time they did thinking of all those details. It was so special to hear about our relationships and how they have grown throughout Mike and I's relationship as well." Tell us about your experience at LUXE! How did you know which dress was THE one? Were there any bridal tears? "My experience at LUXE was amazing! I actually went in with my maid of honor on a whim. They had so many various styles it was easy to get a feel for what I was looking for. It was my third time looking at a bridal boutique and it was the third dress I tried on! I truly didn't think it was something I would look good wearing, but it fit like a glove and they made the moment so special! The LUXE girls picked my earrings and veil, and my sister bought them as a surprise on the spot! They nailed it! I absolutely knew right away & I did not want to take it off. I felt sexier, more glamorous and confident than I had ever been. But yes, there were lots of tears. I still tear up as I am writing this thinking back to the day I found it!" Any advice to other #FutureMrs out there? "My advice is to make a plan and timeline! Make sure to start as early as possible and make a list of photos you absolutely want or need for the photographer, that way you won't forget! I think that being open to different styles of dresses is a huge plus when dress shopping (ding ding ding you are correct Brooke)! The girls know what they’re doing so try to trust the stylist to fit your body type. Make sure during the whole process to keep your favorite people by your side, they are your biggest support system during the planning process and dress searching." "From holding hands in the hallways at Fisher Catholic High School to growing old together, we feel so lucky to have a love that is deeply rooted in friendship"
Older PostGushing over the sparkle queen herself: Hayley Paige!